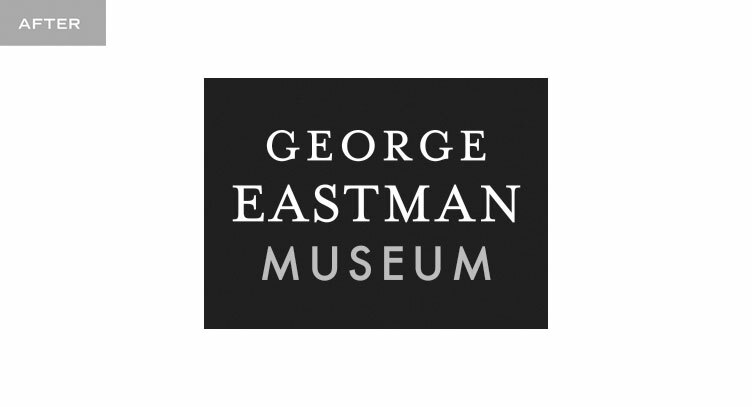 The George Eastman House is the International Museum of Film and Photography but one of the challenges the organization faces is that many aren’t aware. 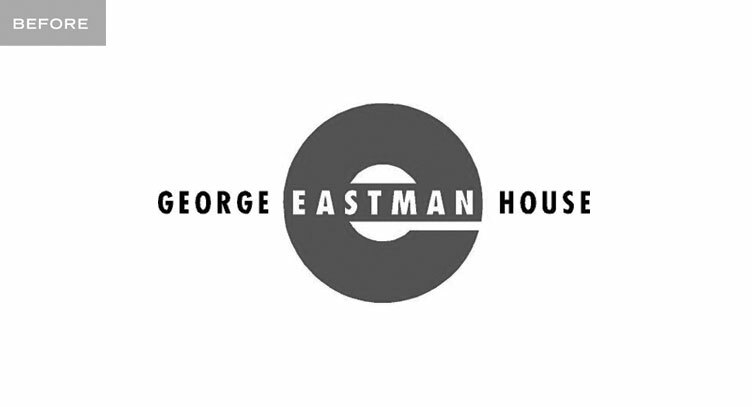 Because of Eastman’s history in the area and the mansion that resides in the center of Rochester, NY, the local stigma is that it is a historic residence. When in actuality it is so much more. This rebranding coincides with a marketing plan that has an international focus and the goal of creating an general awareness for the gem that it is while educating the people in our own backyard on all the museum has to offer. The details of this project were a multiple page document that went deep into the history and current brand positioning of the organization. We’ll spare you the novel and encourage you to visit our blog for some behind the scenes creative exploration of the nitty gritty. The customized type solution has a base in Mrs. Eaves and Futura. The black box frames the logotype just as a photo would be or a film by the screen it is playing on. The aspect ratio is that of the first motion pictures and is fractions of an inch from a typical 8 x 10 photography print. The juxtaposition of the serif font for his name and sans serif font for museum not only creates and interesting visual complement but pays homage to the history of the man’s legend while welcoming the growth of organization’s future. With a launch October 6, 2015, it is still too early to tell how well this brand will serve them. If it is received as well externally as it has been by it’s employees, trustees and volunteers, then it is safe to say that the brand language will evolve with the organization in a way that is organic and cohesive. It is imperative to reevaluate your brand positioning and design as your company grows. The goal is to create a design that is timeless in its execution and allows growth to the fullest potential.